Meet Monsieur Big. Forget the others. This volumizing mascara’s brush provides big impact at first stroke, for thicker looking eyelashes like never before. 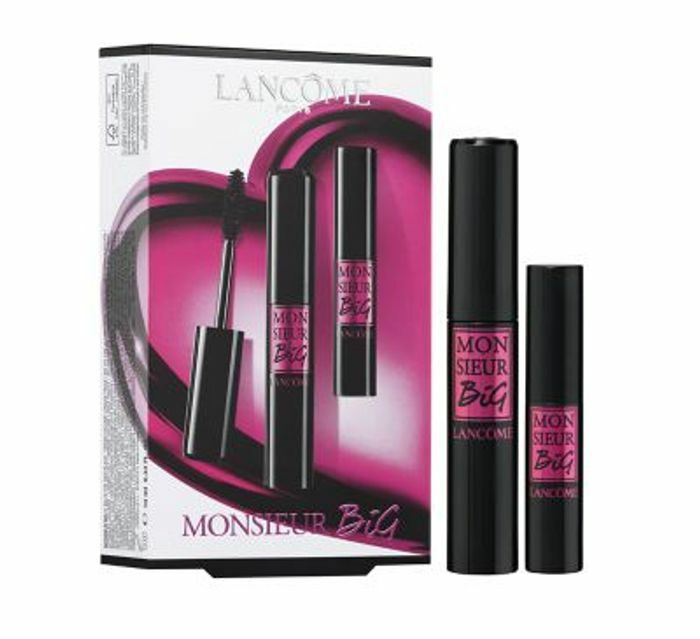 Lancôme Monsieur Big Mascara’s bristles are made of soft fibers which hug your lashes with beautiful softness and ensure a smooth application, while separating and lifting the look of lashes. The formula easily glides on lashes. Its dark pigments create ultra black intensity. This mascara set pairs the full size Monsieur Big Mascara - which is usually £21 on it's own - with a Deluxe Travel Size Monsieur Big Mascara, perfect for those who can't bear to be without Monsieur Big.